Chalkida, the city of the “crazy waters”, is the gateway to Evia is an ideal daytrip destination, just a stone’s throw away from Athens and loaded with a history stretching back over 3,000 years. Chalkida is particularly famous for the tidal phenomenon that takes place in Evripos, the swift change of water direction every six hours, created by the Moon’s pull. During each change of direction the water stops moving for about eight minutes. An ideal place to watch this unique phenomenon is the sliding Negroponte Bridge. However Chalkida is not just an entertainment destination but a temptation to explore as well, blessed with a history. Don’t forget to visit the Archaeological Museum, the Municipal Library, the Municipal Art Gallery, “Kamares” site, the Roman Aqueduct, Emir Zade Turkish Mosque, the Folk Art Museum, the Spring of Arethousa, the Railway Station, the poet Giannis Skaribas’ tomb located at Karababas Fortress, the Byzantine church of St. Nicholas and the Early Christian Basilica of St. Paraskevi, where a big bazaar held on July 26th. 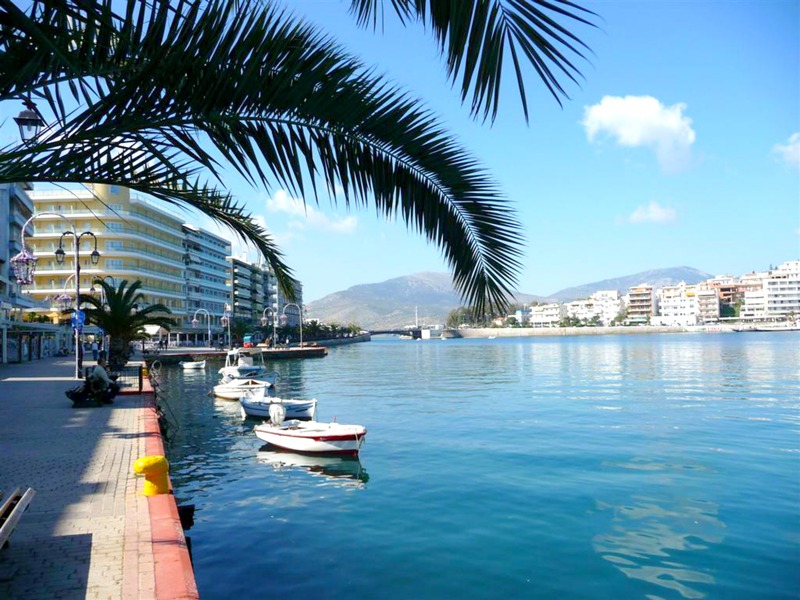 For those who plan on visiting Chalkida in the summer months, there are a number of lovely beaches that you can cruise around such as Agios Minas, Rodies, Asteria, Liani Ammos and Alikes beach.